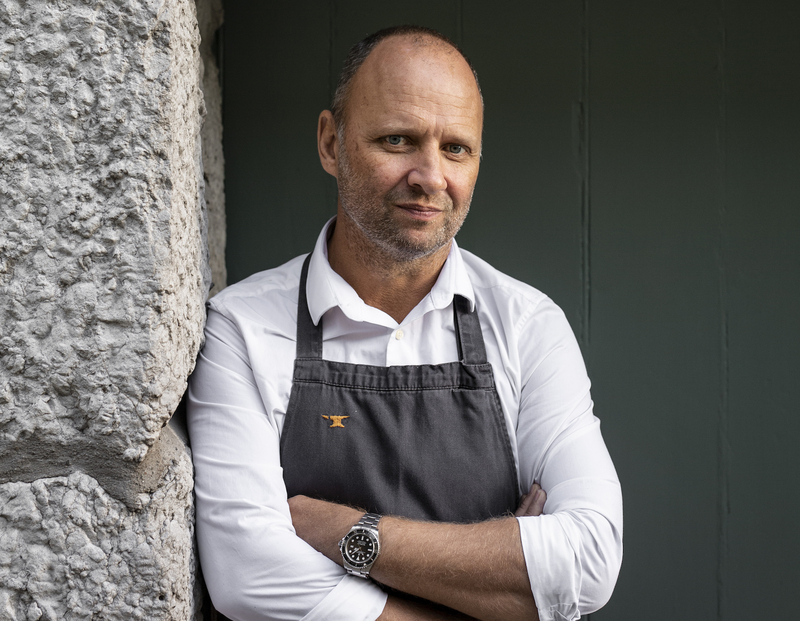 Famed for his inventive and locavore approach to fine dining, pioneering chef and restauranteur Simon Rogan is one of the UK’s best chefs with a string of accolades to his name, including two-Michelin-starred L’Enclume and Rogan & Co in the Lake District, and one-Michelin-starred Roganic in London. After popping up in a Hong Kong restaurant last year for a guest chef experience, Rogan has returned and is set to open two new Causeway Bay restaurants in his first-ever overseas venture. The first venue, Aulis Hong Kong — a development kitchen by day and a chef’s table at night — has now opened for soft launch. While Roganic, the second, more casual restaurant will open its doors after Chinese New Year with a farm-to-table concept focusing on fresh, foraged ingredients and natural wines. Both imports will mirror Rogan’s UK concepts and, most importantly, reiterate his core philosophy, which is centred on celebrating quality ingredients. Aulis Hong Kong is an intimate chef’s table, offering guests a dynamic dining experience. Located on the less crowded side of Causeway Bay, Aulis Hong Kong is an intimate twelve-seat dining destination that acts as an experimental hub for Rogan’s team to explore new dishes before they appear on the Roganic menu, and it ultimately provides a preview into his own vision and creativity. All seats surround the bar table for a very personal and interactive experience where you can watch the chefs at work on the pass. Rooted in nature, the menu showcases the season’s best produce and is ever-changing. This season, the Aulis tasting menu comprises of ten courses priced at HK$1,480 +10% per guest, with an additional HK$680 for the wine pairing experience or HK$380 for a flight of non-alcoholic drinks. Sea urchin custard and caviar. Affirming Rogan’s dedication to sustainable cooking, he’s connected with farmers in the New Territories to attain the highest-quality seasonal ingredients for Aulis. One plate that echoes this sentiment is the seemingly simple grilled salad, which uses fresh vegetables grilled over cherry-wood embers, bringing a beautifully char and smokiness to the whole dish. An elderflower vinaigrette, truffle custard and Westcombe cheese sauce further accentuate the fresh taste of the vegetables. Five-flavour codfish with roasted cabbage and black garlic. Other highlights featured on the current menu include sea urchin custard (made with the Simon Rogan brand of caviar by esteemed house Petrossian) for a bright and robust dish bursting with intense flavours of the sea. Another favourite is the five-flavour cod fish, accompanied by roasted red cabbage, black garlic purée and a sauce infused with vanilla, liquorice, orange, lime and mint. The caramelised pink lady apple tart. The creative multi-course meal continues on to desserts and includes some stunning dishes, such as the British-inspired stout ice cream with chestnut, molasses and burnt milk crisp, as well as a sweet and buttery, caramelised pink lady apple tart to end the evening.